For our 130th Session, our host will be Bryan Yeager, who writes on his eponymous Bryan Yeager website. 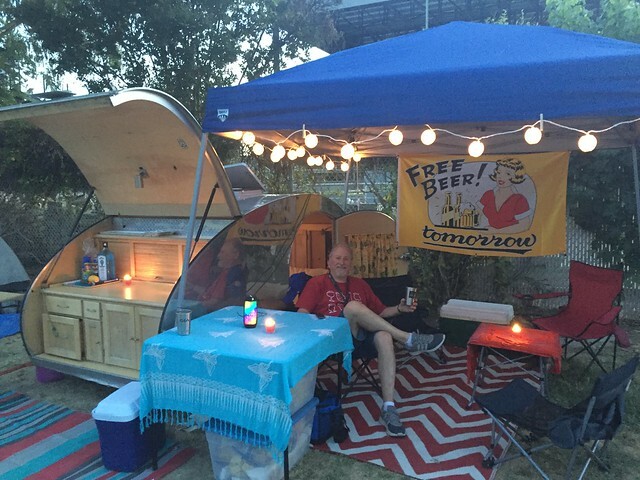 For his topic, he’s asking what would the perfect beer festival look like to you, and has called his topic Create Your Own Beerfest. 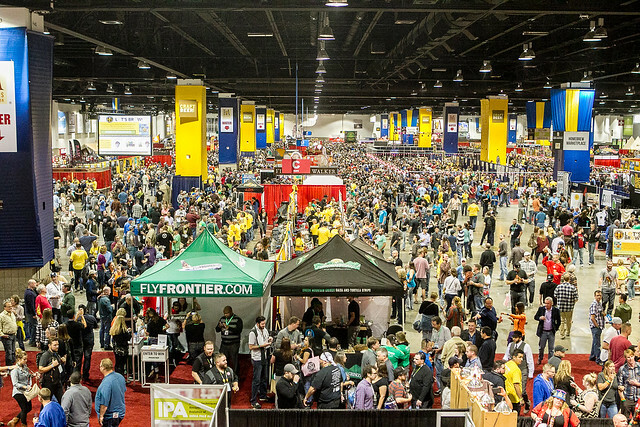 Surely, you’ve been to a beer festival and thought, “I could do better.” Here’s your chance. 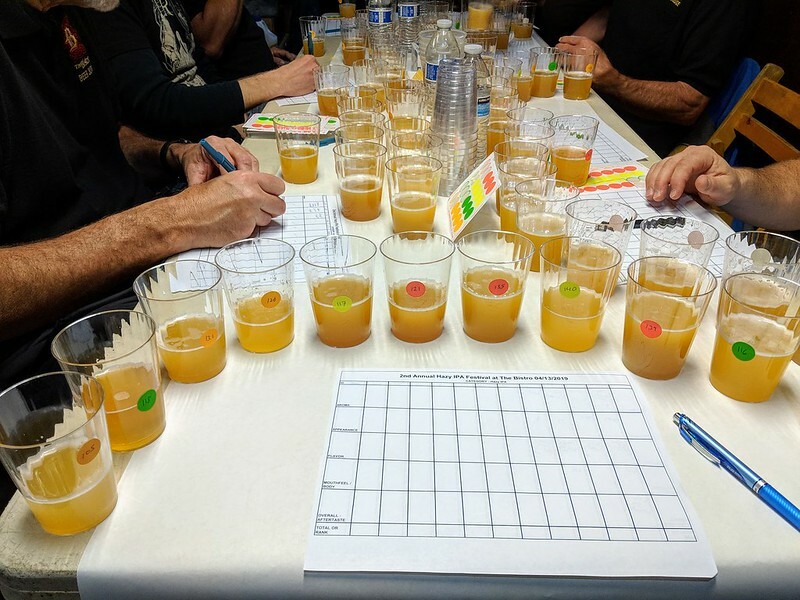 So how would you create a beer festival? What elements would you like to see, or what would you get rid of? Where would it be held? How many people would you allow? Food? Music? Glass or plastic? 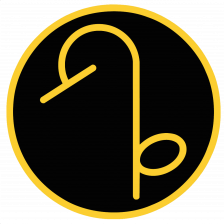 Tokens or all-you-can-sample for one price? How long would it last? Etcetera, etcetera, etcetera. 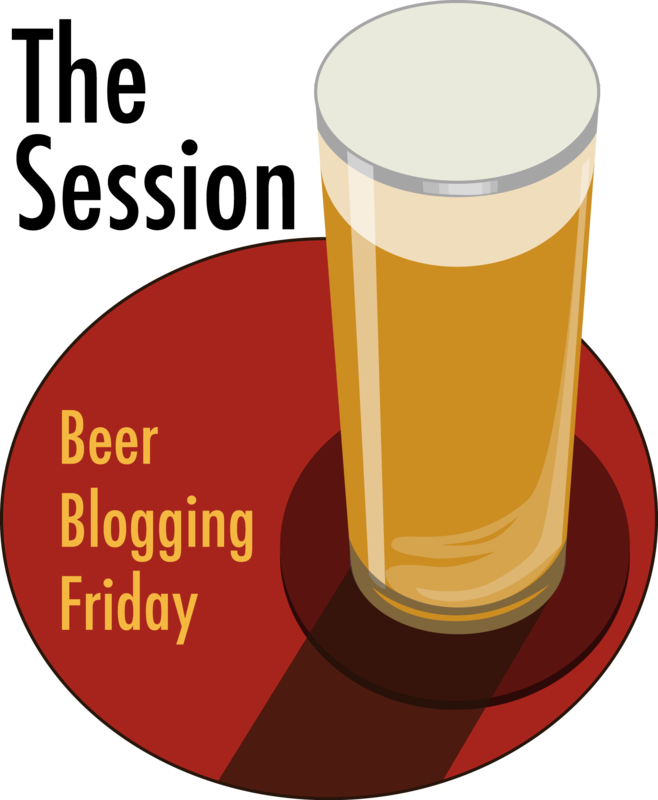 Simply leave a comment at the original announcement and leave the URL to your post there, or tag him @yaeger when you post your perfect beer festival on Twitter. Since 1940, the tiny Principality of Liechtenstein has been holding a celebration which they call Staatsfeiertag Liechtenstein, or their “National Day,” though it’s sometimes referred to as “State Day Liechtenstein.” At around 62 square miles, Liechtenstein is the fourth-smallest in Europe, and has an estimated population of only 37,000. 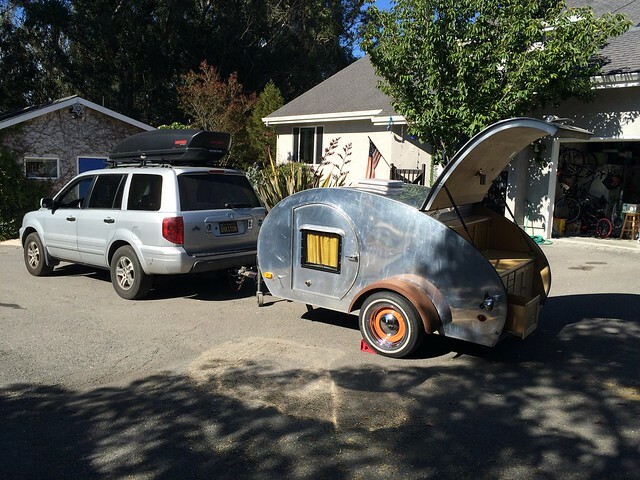 That’s a little been less than nearby Martinez, California. On 15 August Vaduz plays host to a huge celebration attended by thousands of Liechtenstein citizens and guests from many countries. The National Day begins with the State Act held on the lawn in front of Vaduz Castle, including speeches by the Prince and the president of the parliament. The people are then invited to a reception with drinks in the gardens of the castle. National Day is the only day of the year when the gardens are open to the general public. The Princely Family is also present at this reception and enjoys chatting with those present. In the afternoon there is a large fair in the centre of Vaduz that continues until the early hours of the morning. The festivities come to a close in the evening with a large firework display above Vaduz Castle that is famous throughout the region and draws many guests to Vaduz. There were two main reasons for establishing the National Day on 15 August. The first reason was that it was already a bank holiday (Feast of the Assumption). The second reason was that the Reigning Prince at the time, Prince Franz Josef II, celebrated his birthday on 16 August. Therefore, it was decided to celebrate the National Day on 15 August as a combination of the Feast of the Assumption and the Reigning Prince’s birthday. Following the death of Prince Franz Josef II in 1989, National Day continued to be celebrated on 15 August. It was established as the official national day by a law passed in 1990. Over the course of the years there have been different variations of the official celebration held on National Day. Since 1990 the State Act has taken place on the lawn in front of Vaduz Castle, the location where in 1939 the people paid homage to Prince Franz Josef II under the threat of National Socialism. It was here that Prince Hans-Adam II also received an homage from the people in 1990. The day starts at the prince’s residence, Vaduz Castle. But by all accounts, there’s a lot of beer throughout the day, all the way through the fireworks displays that caps off the day’s events. 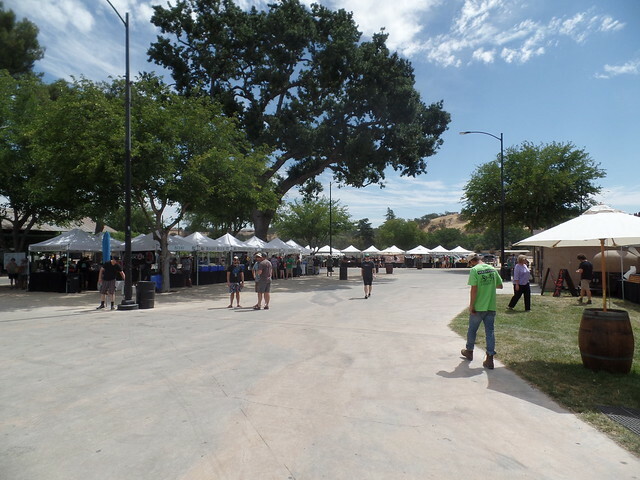 The fair that begins in the afternoon is equal parts street fair and beer festival. Missed out on an invitation to a Buckingham Palace garden party this year? Never mind. 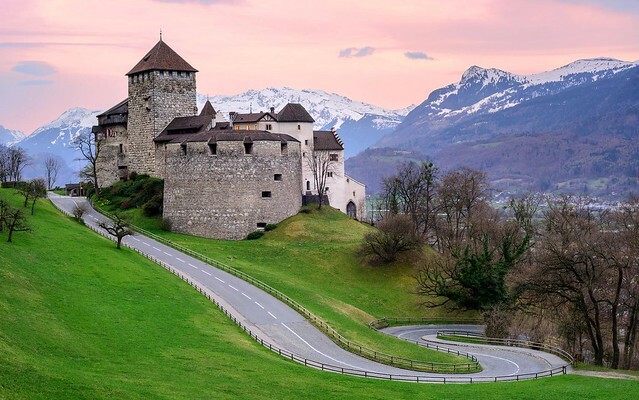 In Liechtenstein you can invite yourself to the annual garden party at the princely Castle in Vaduz and mix with royalty, diplomats and hoi polloi as well as one or two curious foreigners. You might not get daintily cut sandwiches or tea but there is plenty of beer on tap, fruit juice in packs and filled bread rolls. There’s probably more pushing and shoving, too, as the garden is only small yet the whole population of 35,356 is invited. 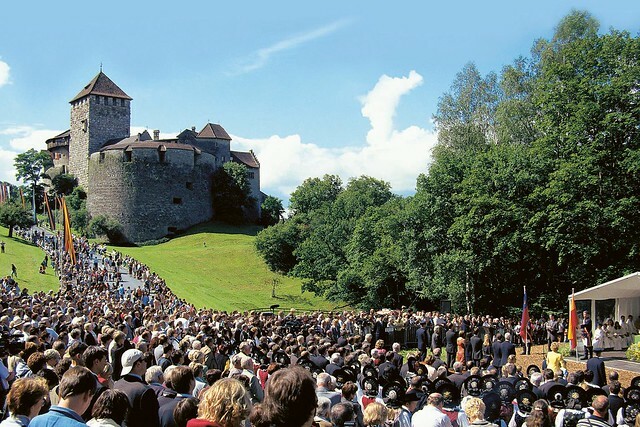 This year’s Liechtenstein’s National Day celebrations started as usual by the castle gates at 9.30 on the dot on the 15 August, the date chosen in 1940, coinciding with the Feast of the Assumption, already a public holiday in this Catholic state of only 160 sq kms, and close enough to the birthday (the following day) of the then Ruling Prince, Franz Josef II. A local band in blue uniform (there are no armed forces in Liechtenstein) struck up and proceeded to the Castle Meadow a few metres away. Various members of the ruling family followed: reigning Prince Hans Adam ll, who is 64, and his wife, Princess Marie von und zu Liechtenstein, along with their eldest son, Hereditary Prince Alois, 41, the prince regent since 2004, and his wife Princess Sophie. A delegation of diplomats and honorary guests also joined the procession, having been whisked up the steep mountainside in coaches, unlike the puffing locals. And finally, at the rear, the rotund, fully robed Bishop of Vaduz with ornamental crozier and the representative of the Apostolic Nuncio. The ceremony began with a Catholic Mass and Holy Communion. While the brass band and the Catholic hierarchy enjoyed the shelter of marquees, the poor princely family had to sit on hard benches with no protection from the fierce sun on one of the hottest days of the year. It was too hot for some. First, one of the young princes felt ill and had to be escorted, in his smart new blue blazer and beige trousers, back to the castle by a lady in elaborate local costume. Then his sister felt faint and was taken by her mother to a waiting ambulance. Liechtenstein’s boy scouts sheltered the bishop and his attendants with white umbrellas as they ventured into the sun to give communion. Once this was over, the reigning princess summoned the scouts to shelter her and the ladies in her entourage. She even sipped from a plastic bottle of mineral water – now the Queen would never do that! The hereditary prince spoke, inevitably, of the world economic crisis but added that, compared with many countries, Liechtenstein was in an enviable position. His uncle, Prince Nikolaus, the brother of the reigning prince and ambassador to the European Union, looked on in the heat. It was he who had led the difficult negotiations with the United Kingdom only days before, culminating in an agreement to ensure greater exchange of information on tax matters. 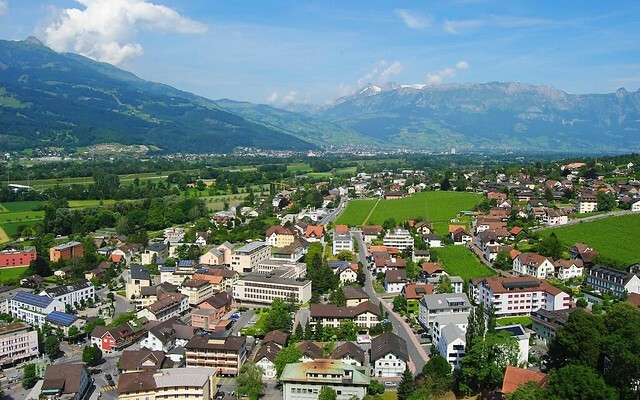 It was with great relief for its bankers that Liechtenstein was removed from the OECD’s “grey list” of uncooperative states earlier this year. The head of the 25-seat parliament, Arthur Brunhart, also spoke, reminding everyone that crises were also times of opportunity. By this time, two hours into the ceremony, some were already cheekily making their way to the garden for the party. The band struck up the Liechtenstein national anthem to the same tune as God Save the Queen as loyal citizens raised their right hands, pledging loyalty to the principality. For another year the ceremonial part of the celebrations was over but festivities continued in a beer festival atmosphere in the main street, rounded off by a spectacular fireworks display with free buses to take everyone home afterwards. And this is from last year’s celebration, entitled Attending National Day in Liechtenstein: Quite An Experience! You may not have heard the name of Peter Cogan. 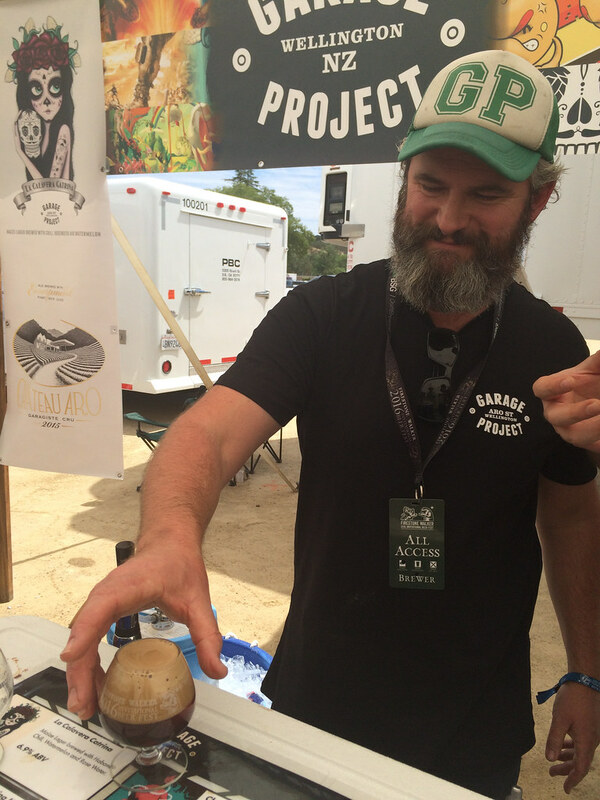 He’s not a household name, not a rock star brewer and does not make a point of making sure people know who he is. He just does his job, and makes things happen. 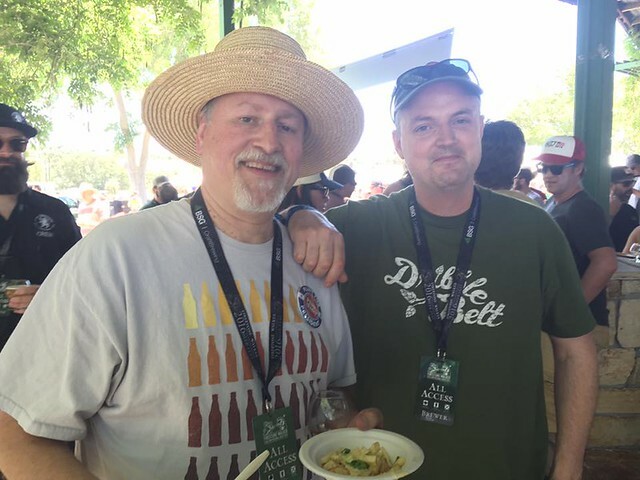 Born in England, Peter has been helping promote the beer scene in the South Bay as long as anybody can remember and has been working for Hermitage Brewing and the Tied House in Mountain View since 1990. 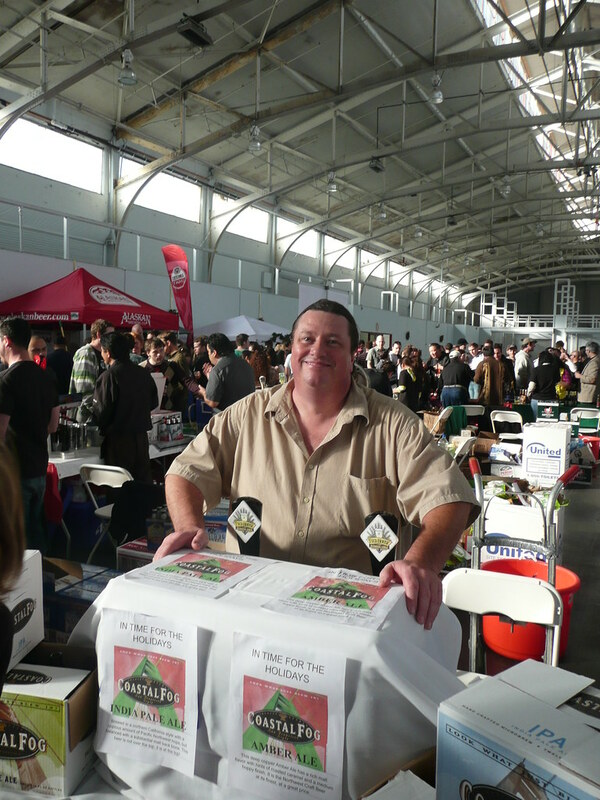 He also helped launch the beerfest there, one of the biggest and most important early Bay Area beer festivals. 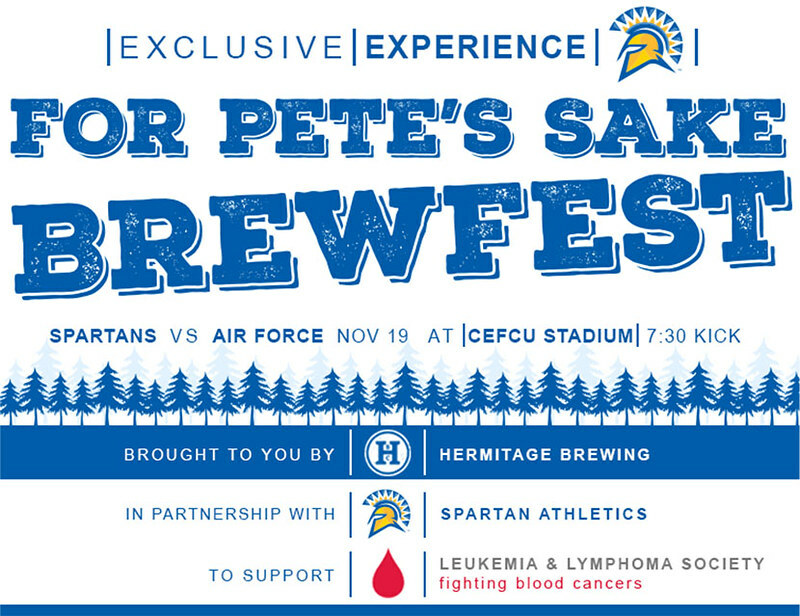 So what does that have to do with a beer festival on November 19 called “For Pete’s Sake?” Well, recently Peter was diagnosed with cancer, specifically lymphoma, and is undergoing chemotherapy treatment to beat back his cancer. For Pete’s Sake is a benefit to the Leukemia & Lymphoma Society (LLS), and also for Peter. Take my word for it, Peter is a great person and if there’s any stranger you help this year, let it be him. But besides a great cause, it should be a great time, too. 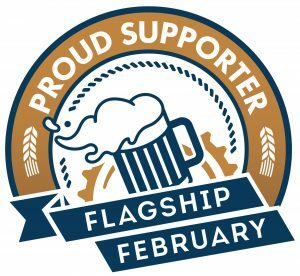 Your ticket includes admission to see the San Jose Spartans play Air Force in college football, plus a beer festival with unlimited samples from at least twenty local breweries. This all takes place on Saturday, November 19, 2016 at Spartan Stadium, located at 1257 South 7th Street, CEFCU Stadium, in San Jose. 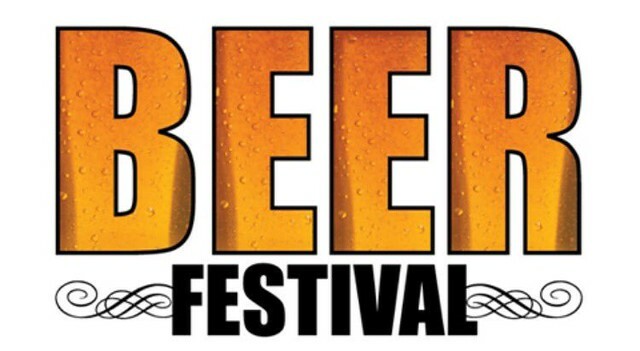 The brewfest starts and 2:30 PM and lasts for four hours, until 6:30 PM. Then at 7:30 PM, the game kicks off, and you’ll have a seat on the 50 to 30 yard line. Tickets are $40 in advance, and $50 on the day of the event. Tickets are available online. 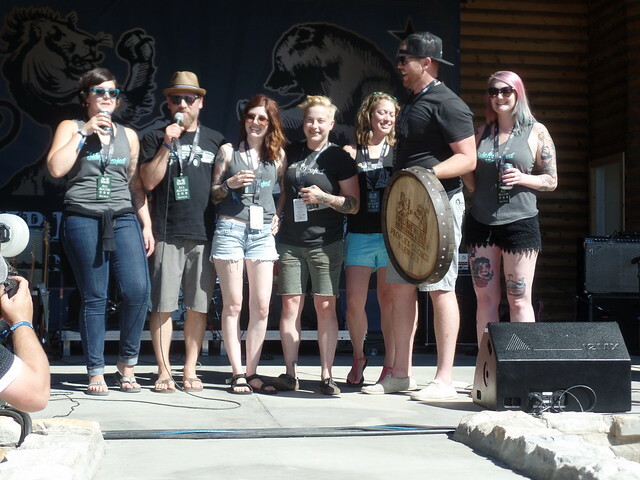 Use the promo code “FORPETESSAKE2016.” Visit the For Pete’s Sake Brewfest webpage for all of the details. 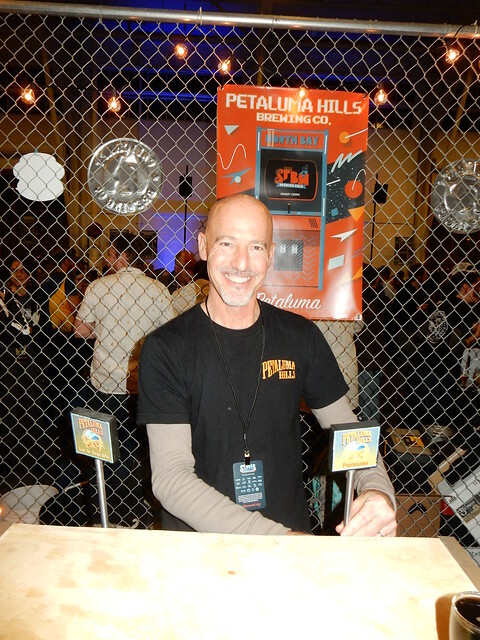 So even if you’ve never met Peter, if you’ve ever enjoyed a craft beer in the Bay Area, you probably owe him at least a small debt of gratitude. 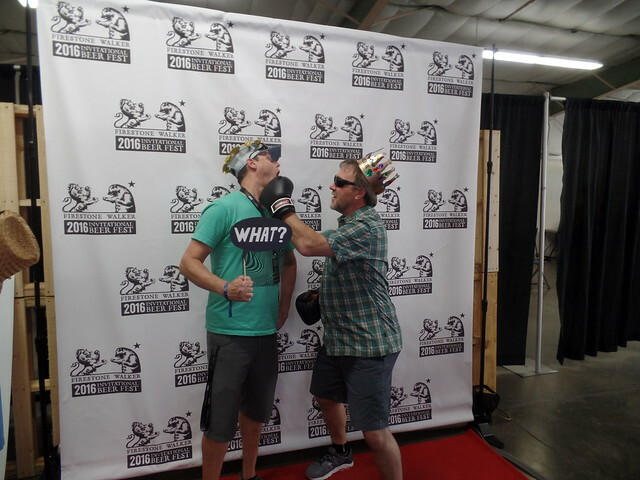 And what better way to thank him then to attend a beer festival and drink some more beer and have a great time. Is that too much to ask? Let’s all help Peter beat cancer. 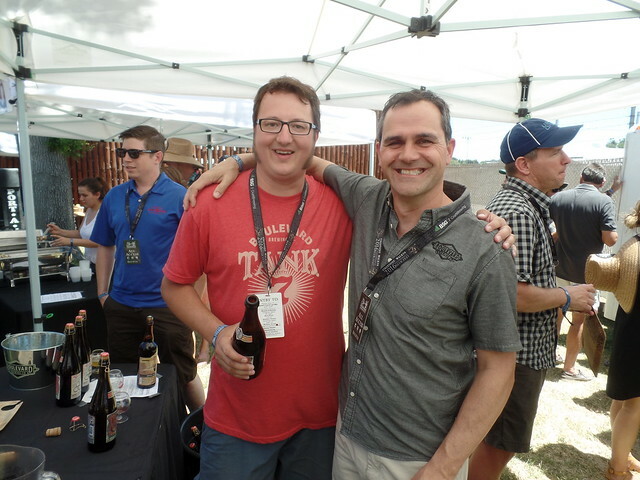 Peter, with Steve Donohue, now with Santa Clara Valley Brewing, at the 21st Celebrator Anniversary Party. 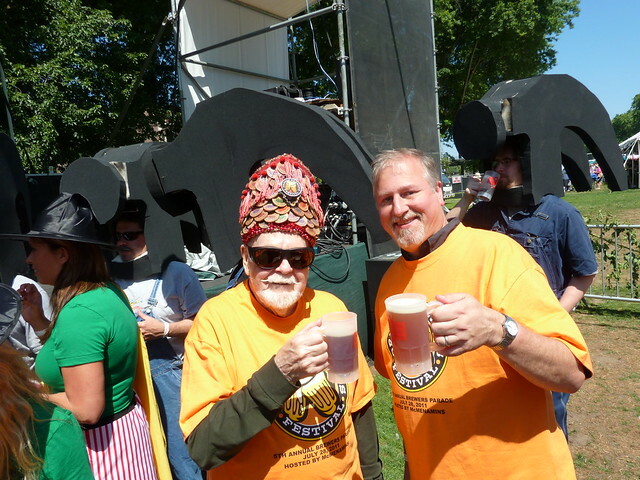 If you’re not familiar with FredFest, it was created to mark the 80th birthday of legendary Portland beer writer Fred Eckhardt. 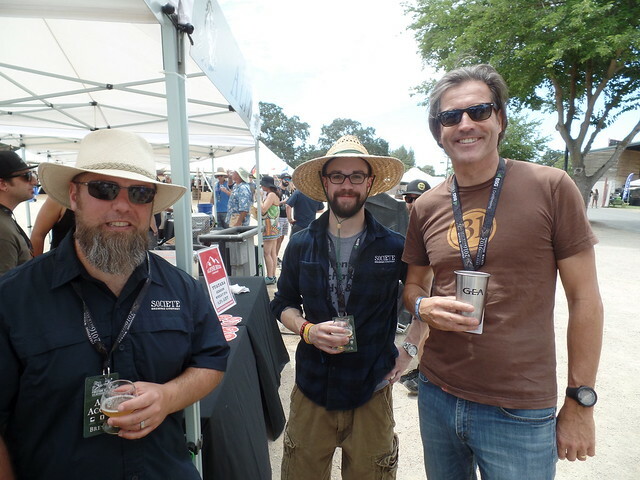 That first festival took place in 2006 and the festival became an annual event put on by Hair of the Dog Brewing. 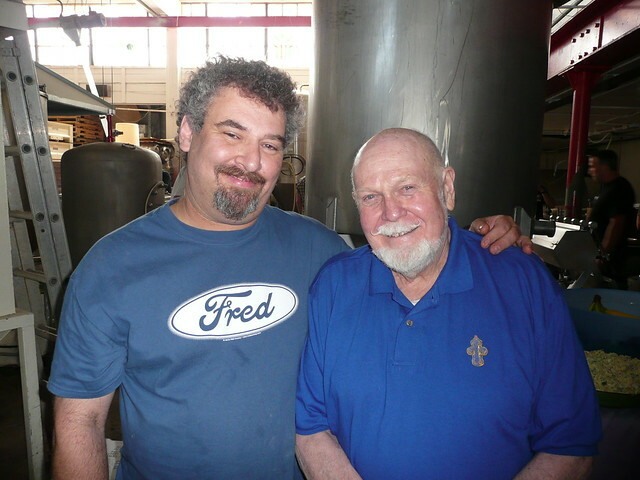 Last year’s event celebrated Fred’s 89th birthday. Unfortunately, in August of last year, Fred passed away, which means this will be the first FredFest that he will be unable to attend. 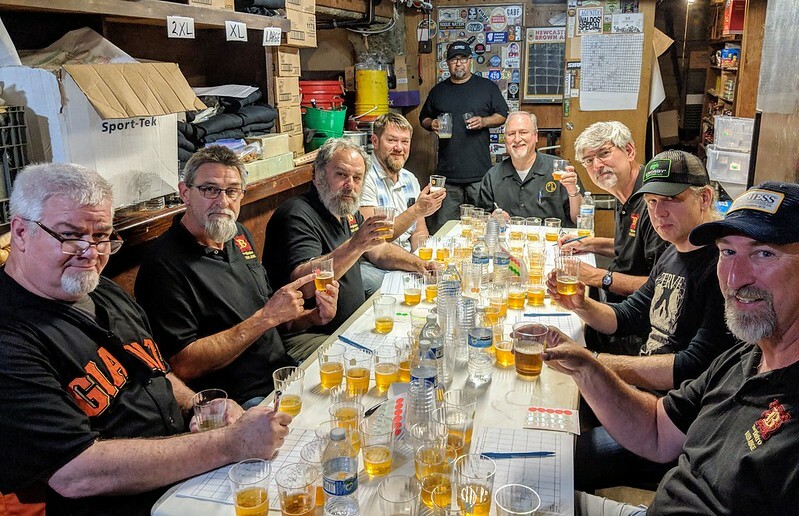 Hair of the Dog brewmaster and owner, Alan Sprints, wants to make this year a special one and make the festival a celebration of Fred’s life and his contributions to craft beer, especially in Portland. So it certainly sounds like this is the one to be at, and I’m planning on flying up for it, as well. 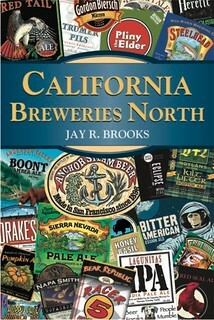 It’s a short hop of a flight from the Bay Area, and there will be some great beers, and people, there. 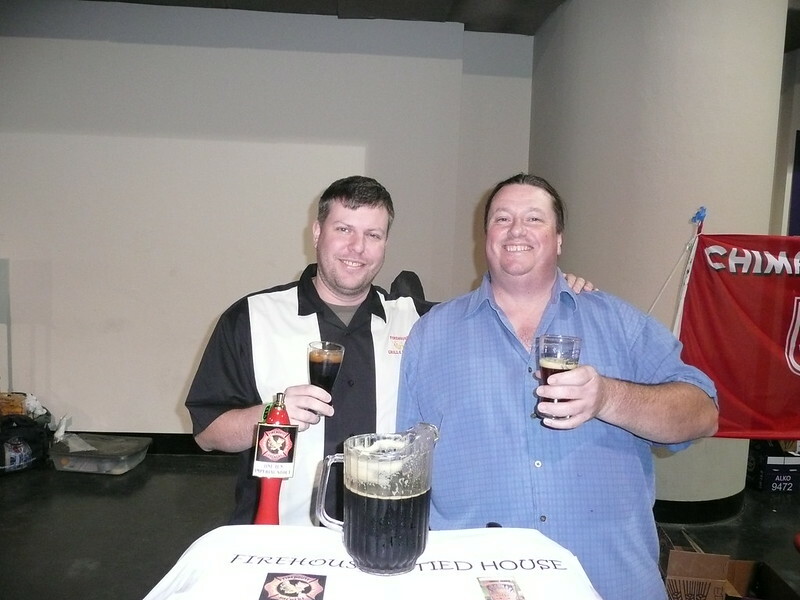 Alan Springs and Fred Eckhardt during OBF Week at the Hair of the Dog Brewery in 2008. If you want to join me and celebrate Fred’s life, tickets are available at the Events page at Hair of the Dog. The events itself is from 1:00 to 5:00 PM on Sunday, May 15 at the Hair of the Dog Brewery located at 61 SE Yamhill Street, in Portland. A ticket gets you “a commemorative glass, endless beer food buffet, and over 25 Beers from a special selection of Brewers.” Also, since “100% of FredFest ticket sales go to charity” — Hair of the Dog covers all expenses for the event — they “encourage you to pay more than the suggested ticket price,” to help support the charities, which are the Mittleman Jewish Community Center (where Fred was once an instructor) and Guide Dogs for the Blind. Fred and me after the OBF Parade in 2011. 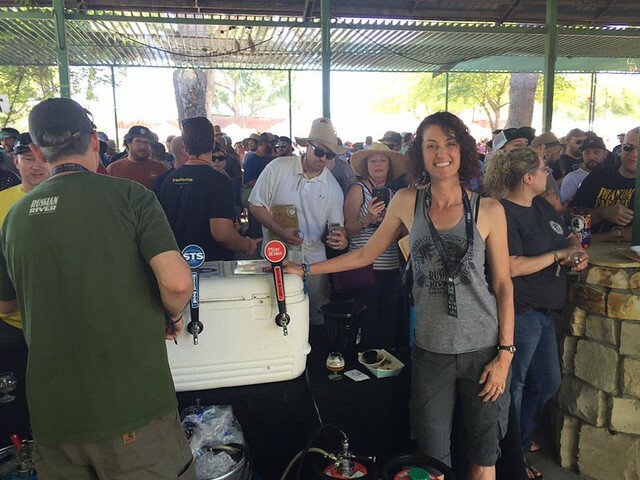 The breweries expected to pour their beer at the fest include 10 Barrel, Avery, Barley Brown’s, Beachwood, Bear Republic, Berryessa, Big Island, Block 15, Breakside, Crooked Stave, Chuckanut, Commons, Ecliptic, Firestone Walker, Golden Valley, Hill Farmstead, Hair of the Dog, Holy Mountain, Jester King, Shelton Brothers (importers), Sixpoint, Stone Brewing, and Upright, with a few more to be announced as we get closer to the event. The only remaining questions are how can I get there, and “What Would Fred Drink?” (WWFD?). Figure out the first, and we’ll help with the second. See you in Portland. 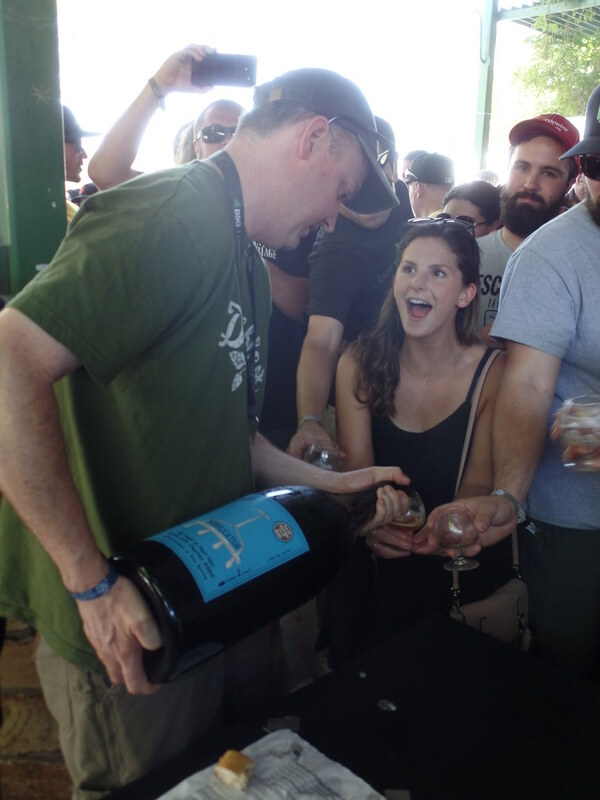 One of the best Bay Area beer festivals is taking place this Saturday — tomorrow — in Concord. 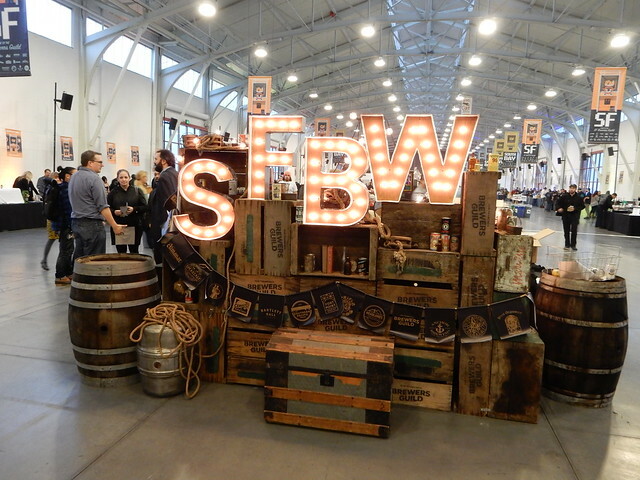 It’s usually a winter festival taking place in January, but because of the brouhaha with SF Beer Week moving because of the Super Bowl in San Francisco sucking up all the event spaces and hotel rooms (or tripling their prices) they decided to move out of the way, and wait until spring. 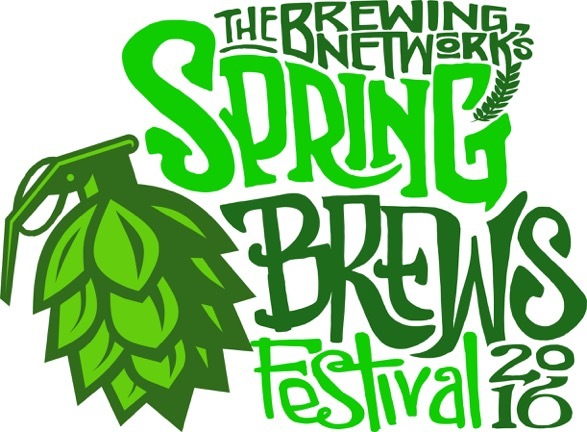 So this year, the Brewing Network is putting on their annual festival, temporarily renamed the Spring Brews Festival. It will take place on Saturday, April 2nd, 2016, from Noon to 4 pm at Todos Santos Plaza. 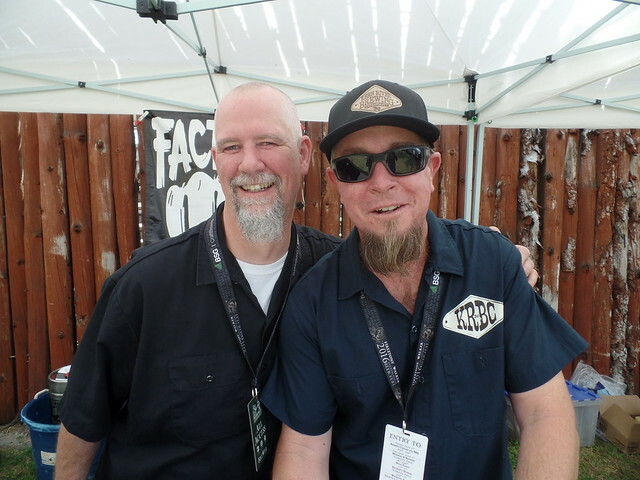 The Brewing Network’s Winter Brews Festival returns to in Concord to celebrate its seventh year as one of the best craft beer festivals in the Bay Area. And while we are a little late this year due to schedule conflicts and the threat of inclement weather, we’re bringing the same great lineup of amazing beer and another awesome day for beer lovers in Concord! 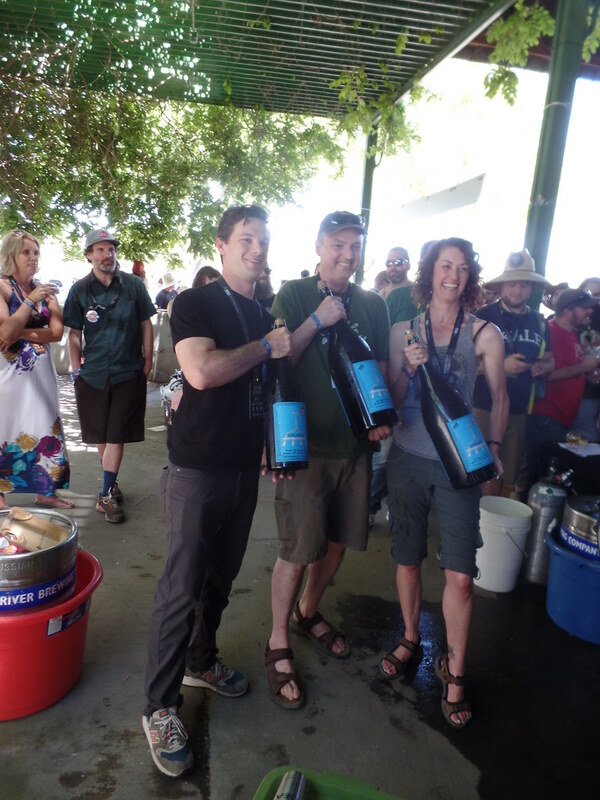 Tickets are now on sale and are $40 pre-sale or $50 at the gate and include unlimited pours and a commemorative glass. Designated Drivers are just $5, however this is a 21 and over only event so all attendees must be of legal drinking age. 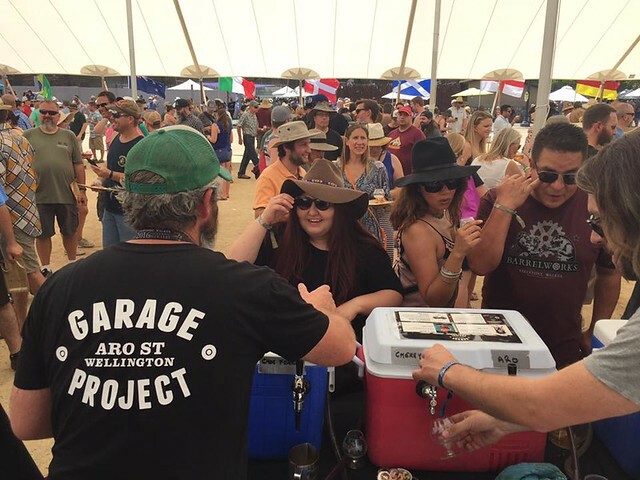 The event is conveniently located just two blocks away from the Concord BART station so mark your calendars for a craft beer infused day for a wonderful cause. We are very proud that this year’s event is a benefit for the TSBA Arts Foundation, which helps fund the summer music program in Todos Santos Park, as well as youth music programs around Concord. 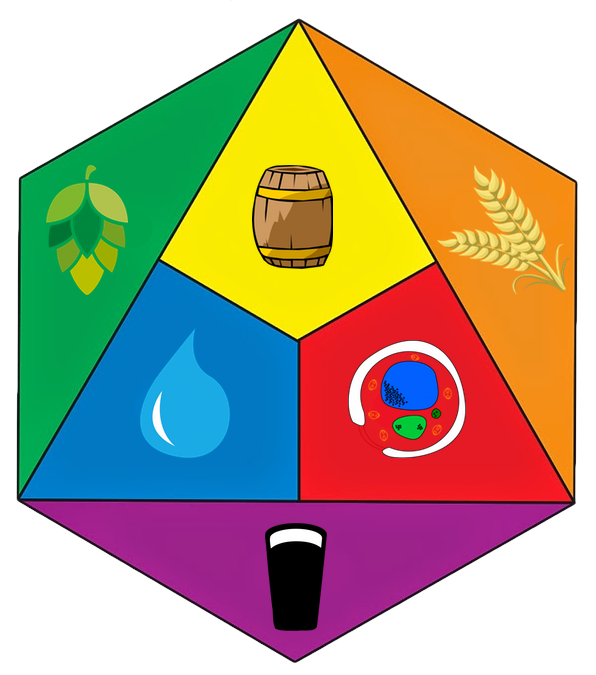 For more information on the event please visit: BNbrewfest.com. Rain or shine, we’ve got you covered. And with the Concord BART station just two blocks away, this afternoon event will be sure to satisfy locals wanting to enjoy some beers for a great cause. SORRY, NO DOGS OR CHLDREN WITHIN FESTIVAL GATES. NO SMOKING IN TODOS SANTOS PARK OR DOWNTOWN CONCORD (INCLUDING E-CIGARETTES). 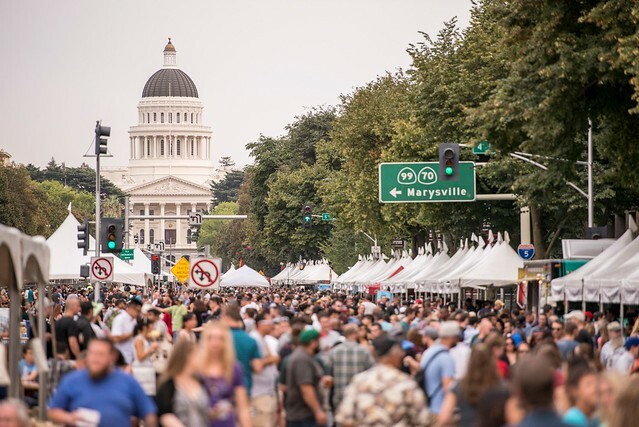 This Saturday, the Breastfest moves back to Marin, and will be held this year at the Fairground Island at the Marin Civic center in San Rafael. The fest starts at Noon tomorrow, and tickets are $55 in advance and $65 at the door. Either way, it’s supporting a great cause. 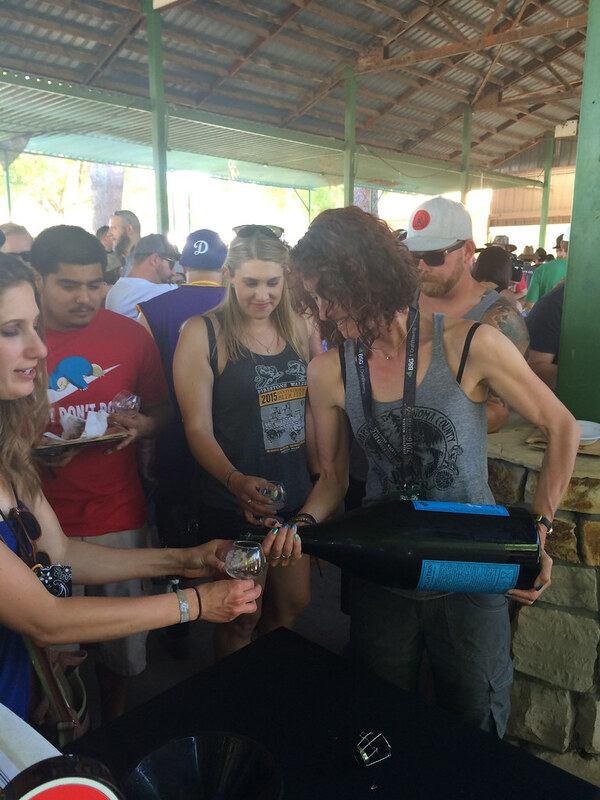 Over 60 breweries and 10 wineries coming together in hopes of raising money for a cancer clinic offering alternative treatments for low-income women with cancer. The new location is awesome When I first moved to Marin, we lived near the Civic Center and spent a lot of time there. It’s a great spot for a festival. The Breastfest is a unique fundraiser in that it is organized 100% by volunteers and 100% of the proceeds goes directly to low-income women who are battling cancer right now. These women are our mothers, grandmothers, sisters, aunts, cousins and friends and they are truly grateful for your support. This cause is particularly personal to me, as I lost my mother to breast cancer when I was only 21 years old. 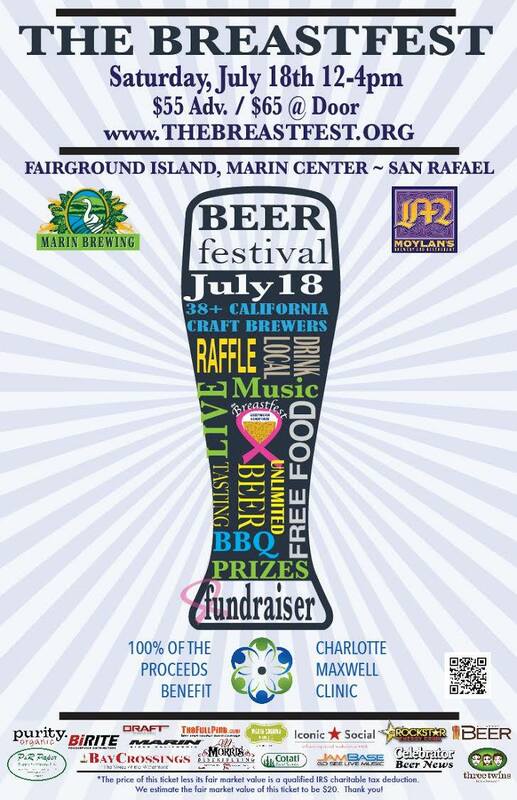 For its 15th year of fundraising, The Breastfest beer festival has a new location back in beautiful Marin County at the Marin Center on the Fairground Island. The fundraiser will feature endless eats and bottomless cups at no additional charge. 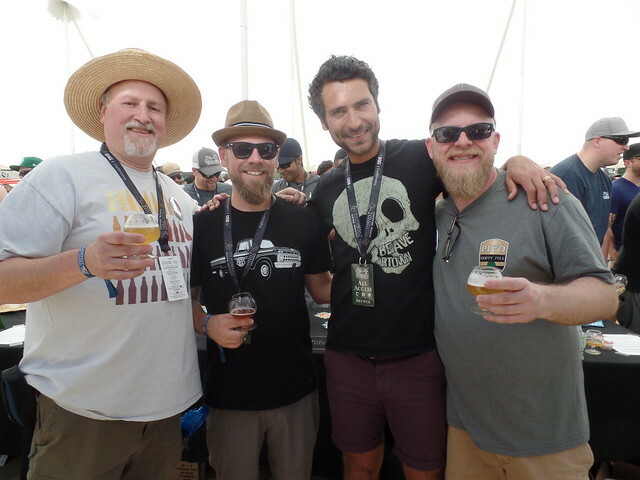 Sip beers from 38 of the best California Breweries while listening to live music and supporting a great charitable cause. All the Proceeds from the popular event will benefit Oakland’s Charlotte Maxwell Clinic, an award-winning non-profit women’s health provider. A pillar of low-income medical care in the Bay Area, Charlotte Maxwell has supported and saved thousands of lives by providing complementary integrative treatments for low-income women with cancer for 25 years. To date, the Breast Fest is the largest fundraiser for the clinic, which does not receive public funds. A free-of-charge clinic that specializes in complete care for those who need it most, the clinic’s innovative comprehensive care model supports women medically and financially during treatment, giving a safety net that allows for full recovery. The festival has also partnered with Lyft to get you to and from the Breastest safely. Get affordable rides within minutes after downloading the mobile app.If you’re new to Lyft, sign up with the promo code BREASTFEST for a free first ride up to $20. Once you download the app, create an account and enter the code in the ‘Payment’ section.Drink responsively and designate a drive or arrange a lift with LYFT! 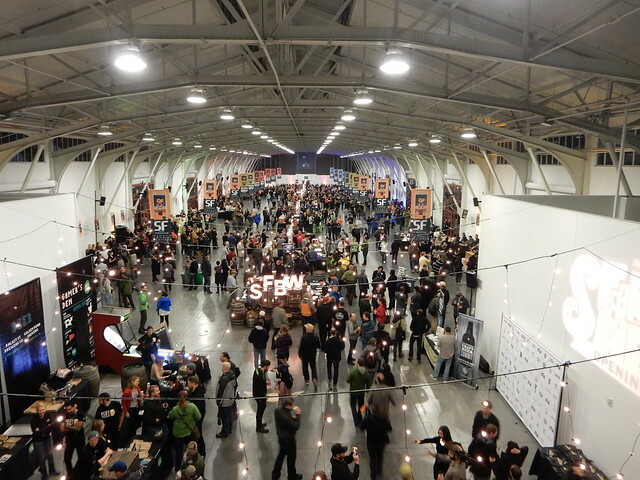 Friday night, the 7th annual SF Beer Week kicked off. This year’s gala was held at Fort Mason, and although I had some trepidation about the site, it actually worked fairly well. The acoustics were as bad as ever, and I think the decision to forgo live music was a good one. That also allowed two additional breweries over last year. 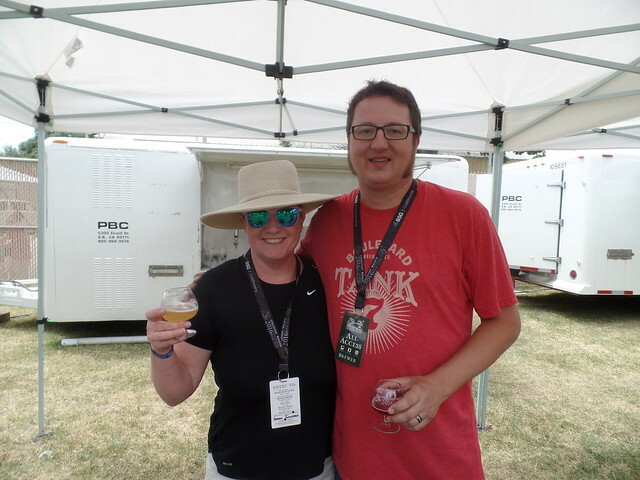 We would have preferred to allow everyone who wanted to pour that opportunity, but the new space was much more limited than the concourse had been so we were sadly unable to accommodate every brewery. The concourse is being torn down to be replaced by a mixed use space, so we couldn’t return there this year. 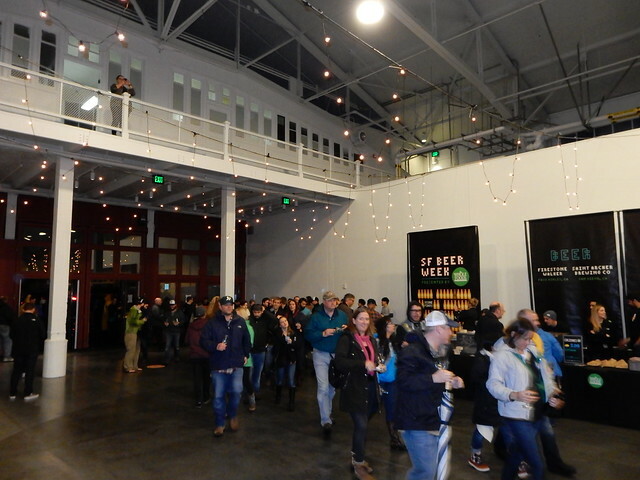 It’s an unfortunate truth of San Francisco that their simply aren’t a lot of spaces available to suit the needs of the opening gala, at least not and keep the price of a ticket within the reach of the average beer lover. 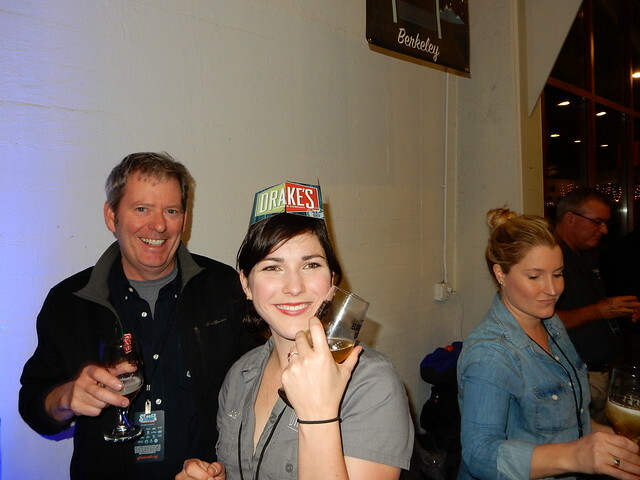 But Brian and the San Francisco Brewers Guild did a great job of making the space work. 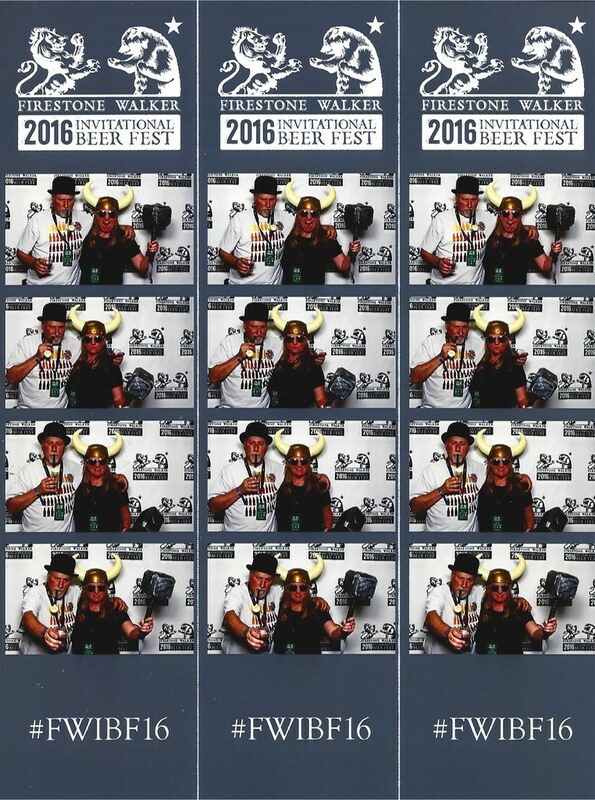 Below are a few photos I took at this year’s gala, and for a lot more check out Gamma Nine, who took the official photos for beer week. 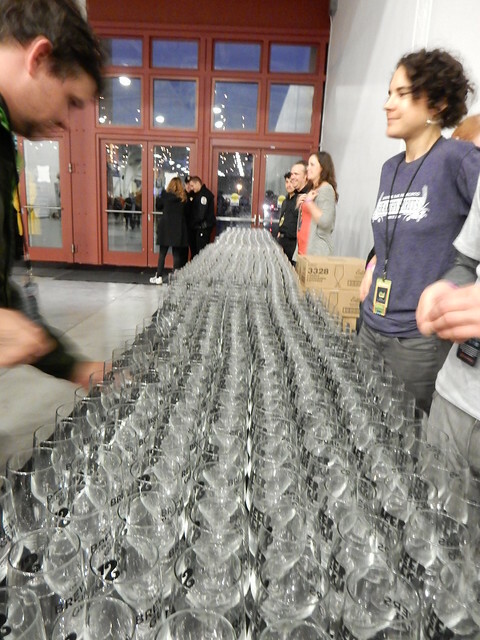 The entrance at this year’s SF Beer Week opening Gala. Outside it was still raining, as the time to let everyone in approached. All of the glassware waiting for the arrival of everyone for the gala. Then the doors opened, and people streamed in. The hall filled up quickly, though it never really felt overcrowded. 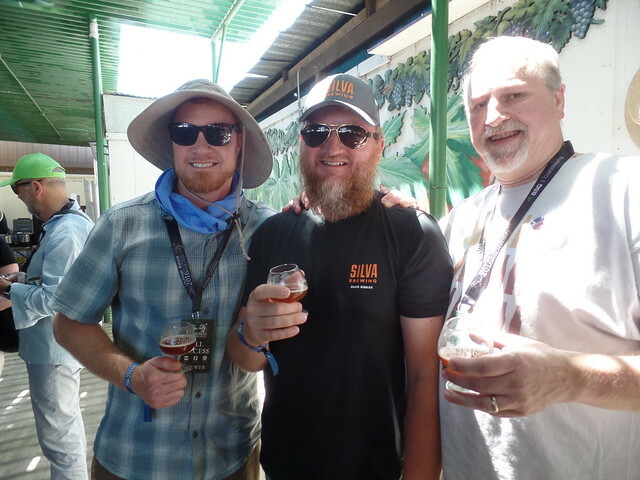 Ted Viviatson, from Eel River, and Daniel Del Grande, from Bison Brewing. 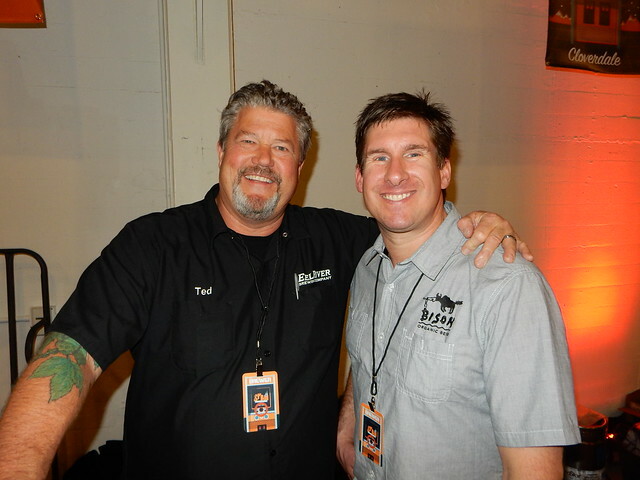 J.J. from Petaluma Hills Brewing. 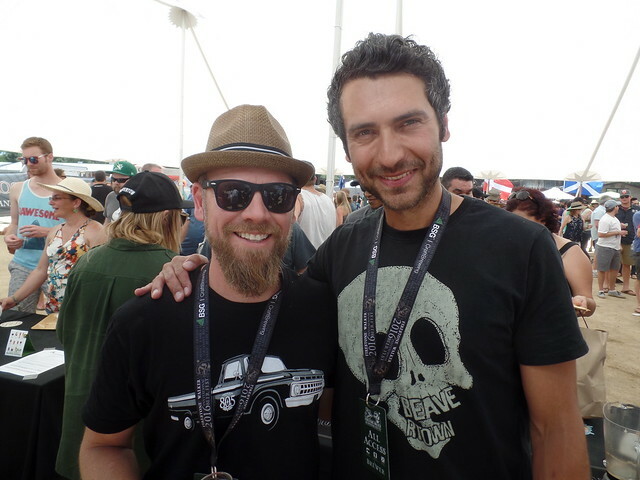 John Martin and Kelsey Williams, sporting a six-pack hat, both from Drake’s and Triple Rock. 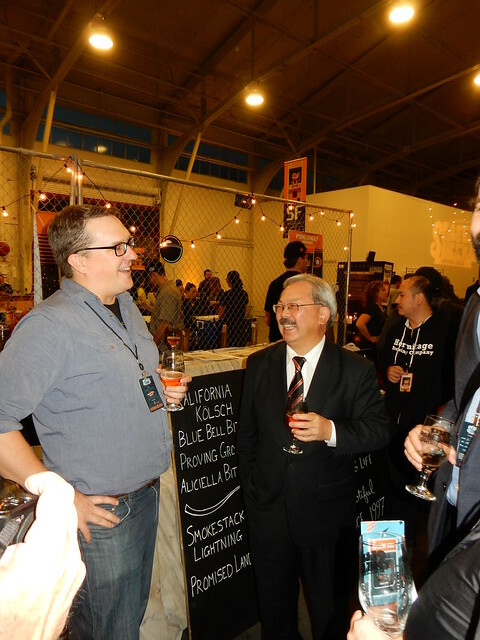 San Francisco mayor Ed Lee also came to say a few words at the beginning of the gala. 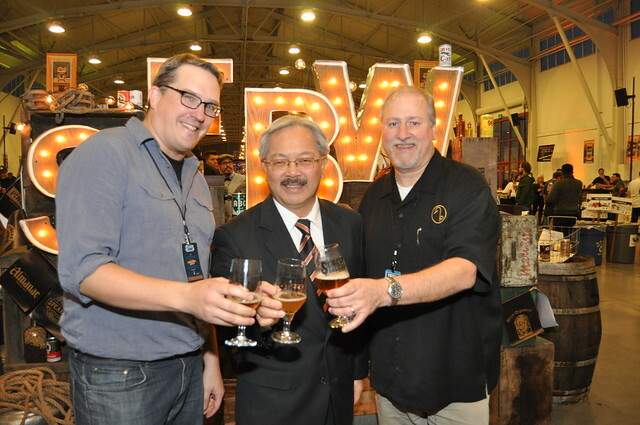 Before his remarks, we took him on a short tour of the hall, stopping by a couple of booths to sample a few beers. 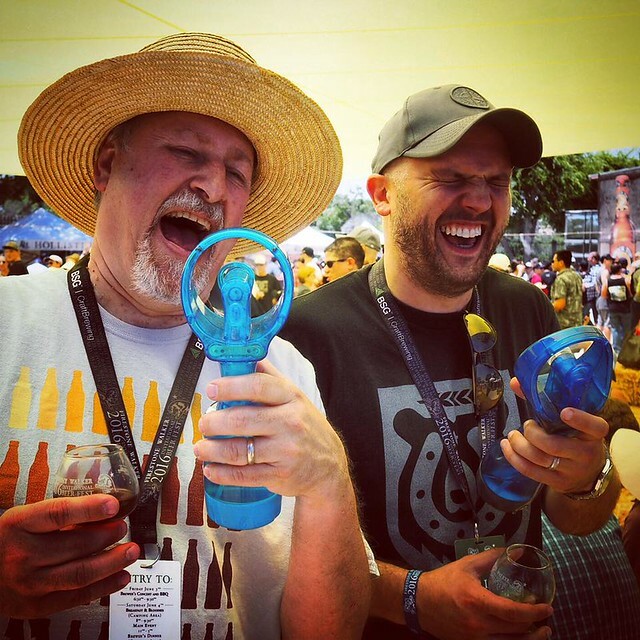 Here he’s sharing a laugh with SF Brewers Guild director Brian Stechschulte. This is pretty cool. 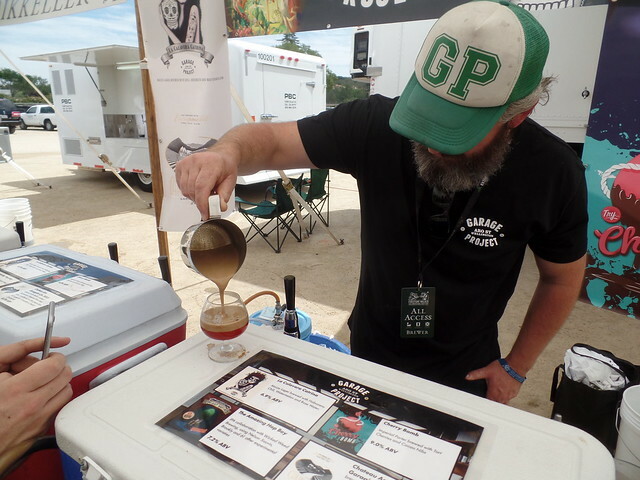 A friend of Bistro owner Vic Kralj, by the name of Graham Richards, is doing a documentary on the Bistro, and shot some time-lapse videos of the Double IPA Fest yesterday. Vic was kind enough to send me three of the short time-lapse films. 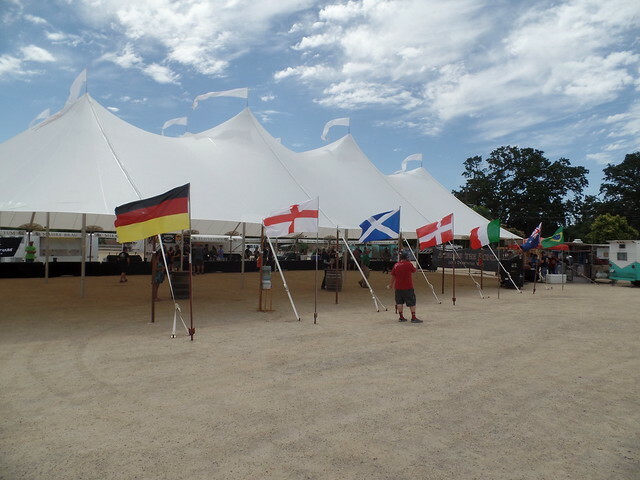 The first shows the festival being set up hours before opening the doors to people so they can sample nearly 100 double and triple IPAs. The second shows people queuing in line to purchase a glass and sample tickets to the festival during one of the periods of time when it was raining fairly hard. Luckily, it only drizzled or was clear most of the day. The third shows the festival down at the other end of the block, toward the back of area of the street where the festival was held. Enjoy. No. 1: Setup of the Fest in the morning. No. 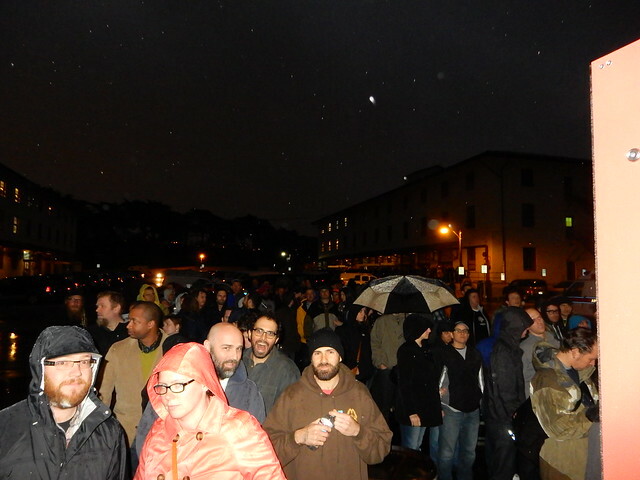 2: The festival opens while it’s started raining hard, but people . No. 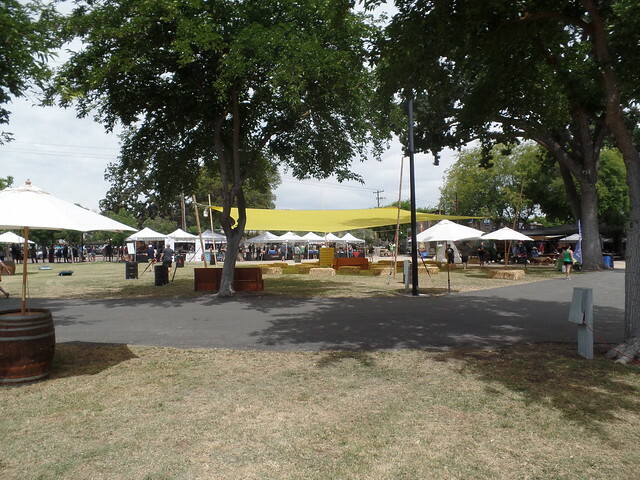 3: A little later in the morning, after the rain had subsided, and showing the back of the festival area.